A popular journal article by Berggren and Elinder, published in 2011, titled “Is tolerance good or bad for growth” had stated that the more tolerant society was towards homosexuals, the less economic growth was experienced in that particular nation. The article had prompted a range of reactions from policy makers, who were disturbed by the findings which until recently, were accepted as accurate. 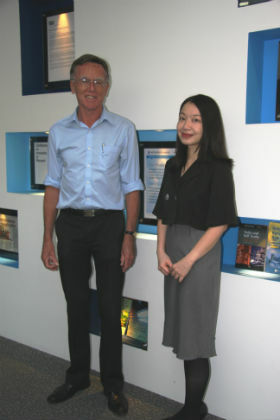 However, in their paper published in 2012 titled “Tolerance and economic growth revisited”, Professor Eduard Bomhoff and Dr Grace Lee Hooi Yean of the School of Business at Monash University Sunway campus, found instead that there was no evidence to back up Berggren and Elinder’s findings. “We examined the (Berggren and Elinder) paper thoroughly and found that the paper was not correct,” said Dr Lee, Senior Lecturer at the School of Business. “We rewrote it and used a more recent database. We found that the concerns raised by the authors were unwarranted,” she said. “Our paper on the topic of economic growth has now come out in the same prestigious journal. Prof Bomhoff and Dr Lee used data collected from the World Values Survey, of which Prof Bomhoff is a Principal Investigator, which compiled more than 60,000 surveys from 54 countries. “There have been attempts to say that economic growth suffers if people are not so nice, or tolerant,” said Prof Bomhoff, the School of Business’ Head of Economics. “However, we’ve found that economic growth depends on the quality of the infrastructure, the education, the legal system and so on. “It would be very nice to say that if people in a country are all nice towards people of a different ethnic background, religion, sexual orientation, and are generally a tolerant country, then economic growth would be higher. But we find no evidence that it is true, and this particular emphasis on tolerance with respect to homosexuals is not connected to economic growth,” he said. However, Prof Bomhoff said that other research found that employers who discriminated against workers from a different religion, ethnic group or sexual orientation, would cause their businesses to suffer. “If they miss up an opportunity to employ good workers, business will suffer, so in a market economy with enough competition, employers like that at some point will suffer,” he said. Prof Bomhoff said on a larger scale, though, intolerance towards homosexuals was regrettable for other reasons but did not seem to have any effect on the economic performance of a nation. “Here in Malaysia, according to our survey, over 50 per cent of the people say they would rather not have neighbours who are living together without a marriage certificate, which would imply a not very tolerant viewpoint. “Still, there is no evidence that economic growth suffers because of it,” said Prof Bomhoff, who had served as Deputy Prime Minister and Minister of Health in the interim government in the Netherlands after the assassination of Pim Fortuyn in May 2002. Another example he cited was Korea, a “very successful country, economically”. “In Korea, they tend to be very hard on unwed mothers, and more and more Koreans feel that these attitudes need to change. But there is no proof that the country can be more successful if they were nicer to unwed mothers. That is the claim we make in the paper,” he said. Dr Lee said that the pair used statistical software and methods to obtain their results and conclusions. She said the outcome of their research was important especially for policy makers and city planners, who “have very little to worry regarding economic growth and its link to a more tolerant society”. Tolerance, she added, was a virtue but it had no clear connection to economic growth. On the effects of their research in student learning, Prof Bomhoff said that students needed to understand differences between countries and cultures when they prepare to work for international firms. “We add insights from our research to the teaching materials. Today’s employers do not test job applicants for knowledge of facts – anyone can find necessary information on the computer. Employers want employees who can analyse and solve problems,” he said. “That is why it is helpful to study both the numbers and the business cultures of Asian and Western countries. Our research makes our teaching richer,” he added.